Chelsea allowed opponents to score over 1.5 goals in last 4 games in Premier League. Everton has over 2.5 goals in their last 3 games in Premier League. Wolverhampton Wanderers has over 2.5 goals in their last 3 games in Premier League. Newcastle United lost their last 3 games in Premier League. Cardiff City scored in last 9 home games. Tottenham has over 2.5 goals in their last 5 games in Premier League. Fulham has under 2.5 goals in their last 3 games. Tottenham scored in last 5 games in Premier League. Tottenham scored in last 21 home games in Premier League. Fulham didn’t score in last 3 away games. Southampton has over 2.5 goals in their last 3 away games in Premier League. Everton scored in last 3 games in Premier League. Wolverhampton Wanderers scored in last 3 games in Premier League. Leicester City scored in last 4 games in Premier League. Chelsea allowed opponents to score over 1.5 goals in last 5 home games in Premier League. Arsenal allowed opponents to score over 1.5 goals in last 4 away games in Premier League. Barcelona scored in last 3 home games in La Liga. Espanyol won their last 7 games in La Liga. Real Sociedad lost their last 3 games in La Liga. Villarreal scored in last 3 games in La Liga. Alaves lost their last 3 games in La Liga. Espanyol won their last 8 away games in La Liga. Real Sociedad allowed opponents to score over 1.5 goals in last 3 away games in La Liga. Espanyol scored in last 7 games in La Liga. Alaves ended draw their last 4 games in La Liga. Espanyol scored in last 8 away games in La Liga. Real Sociedad scored in last 3 away games in La Liga. Espanyol scored over 1.5 goals in last 6 away games in La Liga. Lazio scored over 1.5 goals in last 4 home games in Serie A.
Chievo has under 2.5 goals in their last 4 home games in Serie A.
Juventus has under 2.5 goals in their last 4 games in Serie A.
Napoli has over 2.5 goals in their last 3 games in Serie A.
Chievo won their last 4 home games in Serie A.
Juventus ended draw their last 3 away games in Serie A.
Napoli has over 2.5 goals in their last 3 away games in Serie A.
Lazio has over 2.5 goals in their last 4 home games in Serie A.
Juventus has under 2.5 goals in their last 3 away games in Serie A.
Lazio scored in last 4 home games in Serie A.
Rennes scored in last 4 games in Ligue 1. Monaco has over 2.5 goals in their last 5 games in Ligue 1. Lille has over 2.5 goals in their last 3 games in Ligue 1. Angers has under 2.5 goals in their last 4 games in Ligue 1. Nantes scored in last 3 games in Ligue 1. Monaco has over 2.5 goals in their last 5 home games in Ligue 1. Angers has under 2.5 goals in their last 3 away games in Ligue 1. Monaco won their last 6 home games in Ligue 1. Monaco scored in last 19 home games in Ligue 1. Angers lost their last 3 games in Ligue 1. Rennes scored in last 4 home games in Ligue 1. Nantes scored in last 13 away games in Ligue 1. Dijon scored in last 16 home games in Ligue 1. Ipswich Town has under 2.5 goals in their last 3 games in Championship. Aston Villa won their last 11 games in Championship. Bolton has over 2.5 goals in their last 3 games in Championship. Reading allowed opponents to score over 1.5 goals in last 3 games in Championship. Ipswich Town lost their last 4 games in Championship. Aston Villa won their last 7 away games in Championship. Ipswich Town scored in last 3 home games in Championship. Reading has under 2.5 goals in their last 3 games in Championship. Bolton scored in last 8 away games in Championship. Bolton scored in last 5 games in Championship. Kuopio PS has over 2.5 goals in their last 3 games in Veikkausliiga. Inter Turku has under 2.5 goals in their last 3 games in Veikkausliiga. Kuopio PS scored in last 3 away games in Veikkausliiga. Kuopio PS scored in last 4 games in Veikkausliiga. Inter Turku allowed opponents to score over 1.5 goals in last 6 games in Veikkausliiga. Sporting scored in last 3 games in Liga NOS. Boavista has under 2.5 goals in their last 3 games in Liga NOS. Benfica won their last 3 games in Liga NOS. Sporting scored in last 3 home games in Liga NOS. Boavista has under 2.5 goals in their last 4 home games in Liga NOS. Benfica ended draw their last 3 away games in Liga NOS. Benfica scored in last 12 away games in Liga NOS. Sporting allowed opponents to score over 1.5 goals in last 3 games in Liga NOS. Trelleborgs has over 2.5 goals in their last 4 games in Allsvenskan. 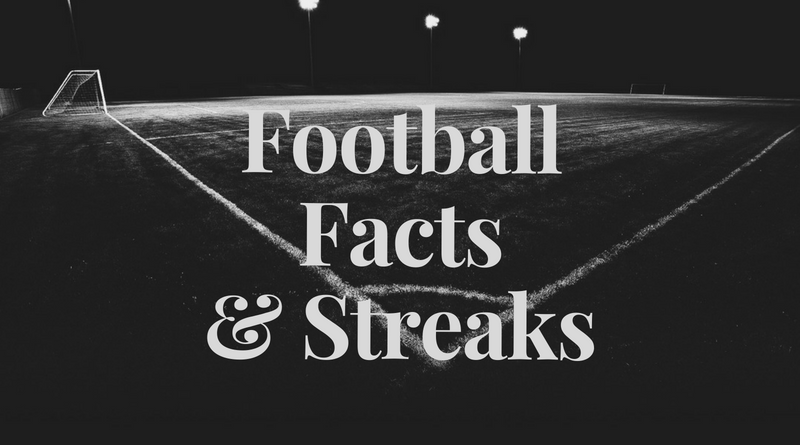 Trelleborgs has over 2.5 goals in their last 7 away games in Allsvenskan. Malmo has under 2.5 goals in their last 4 games in Allsvenskan. Trelleborgs scored in last 11 games in Allsvenskan. Trelleborgs scored in last 6 away games in Allsvenskan. Seattle Sounders has over 2.5 goals in their last 3 games in MLS. LA Galaxy has over 2.5 goals in their last 10 games in MLS. LA Galaxy has over 2.5 goals in their last 4 away games in MLS. Seattle Sounders won their last 7 games in MLS. Seattle Sounders won their last 3 home games in MLS. Proleter has over 2.5 goals in their last 4 away games in Superliga. Cukaricki has under 2.5 goals in their last 3 home games in Superliga. Proleter scored in last 5 games in Superliga. Proleter scored in last 3 away games in Superliga. Cukaricki scored in last 4 home games in Superliga. Carlisle United has over 2.5 goals in their last 4 games in League Two. Lincoln City has over 2.5 goals in their last 3 games in League Two. Carlisle United scored in last 3 away games in League Two. Lincoln City won their last 6 games in League Two. Lincoln City won their last 6 away games in League Two. Carlisle United scored in last 7 games in League Two. Lincoln City scored in last 6 games in League Two. Lincoln City scored in last 6 away games in League Two.